We've Made It Easy For You This eBook Gives You The Best Of Our 30 Years of Work We have been studying government programs for over 30 years. We maintain the world's largest database of government grants, loans, direct payments, free services, and even free trips and gifts that average Americans are eligible for. We've sold over four million books and served Americans of all incomes from Fortune 500 executives to the average consumer struggling just to get by. Americans pay for all these programs but have no idea where to go or what to ask for. We want every American to know that there are programs available to them that offer: • Free Money to Live On While You Start Your Own Business • $8,000 to Train for a New Job • Get $1,000 from Debt Collectors Who Don't Treat You Right • $10,000 to Help Pay Your Student Loans • $2,000 off Your Dental Bills • $250,000 to Work on Your Invention • $2,000 If You Get Mugged • $8,000 to Improve Your Home So It Cuts Your Utility Bills • $10,000 to Buy a Talking Computer • $10,000 for Down Payment, Closing Costs or Rehabilitation • $12 Million to Start a Real Big Business • $100,000 to Become a Freelancer Working from Your Kitchen Table • Free Prescription Drugs for All Ages. 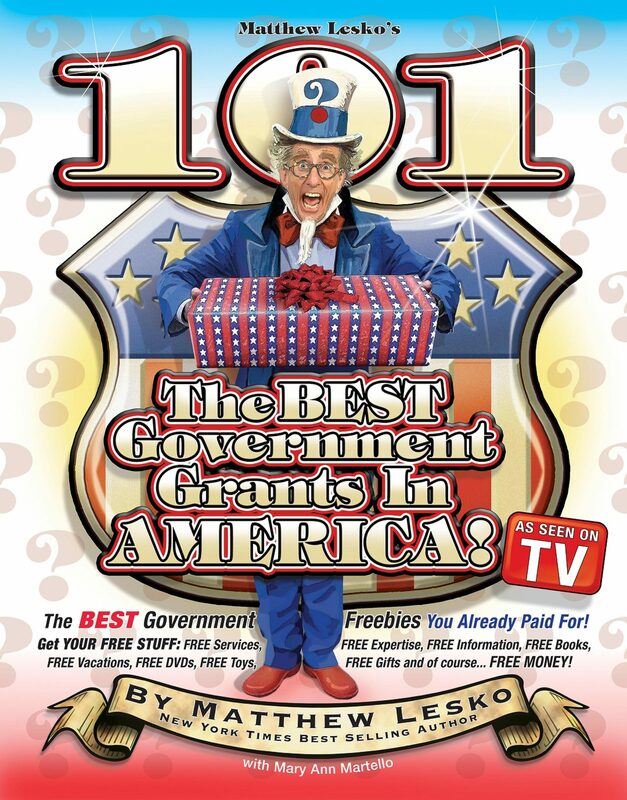 Otros ebooks de Matthew Lesko.